My creative tank is pointing to "E" tonight. I'm off tomorrow and I plan to meditate, do yoga, and take a long walk to see if the wild honeysuckle is blooming yet. This picture is from my walk yesterday. 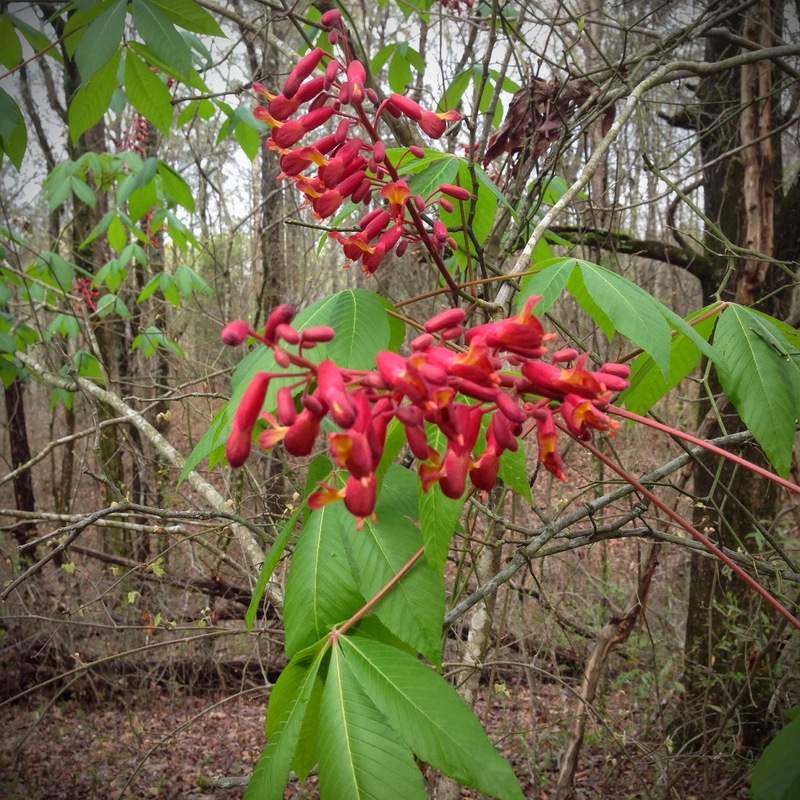 It's a buckeye bush in full bloom. I'll leave you with a quote from one of my favorite authors, Anne Lamott. Such a rich color to those blossoms. You know we Ohioans are very partial to Buckeyes and are known as the Buckeye State. Hope you have a wonderful Good Friday. Beautiful photo. I don't think they grow around here because I've never seen one in bloom. Have a great Easter weekend and get plenty of restorative rest. This is beautiful. And a good reminder for all of us to slow down. Ahhhh the SWEET smell of honey suckles! since chlidhood, my favorite scent! Anne Lamott has such a way with words. "look up at the hectic trees"--not sure what this truly means. The poem has good advice. That is the way to enjoy spring.